As long as I can remember, I always loved airplanes. 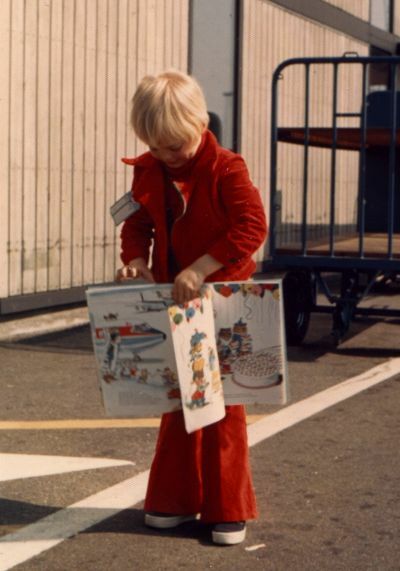 Those magnificient flying machines with the cute flight attendents, who always would feed me extra candy, while little flightmechanic Martin would insist that the left wing was leaking fuel and that she should notify the captain immediately. I was six and had never before heard about condensation. If I would ever get an opportunity to fly one myself. Fast-forward 25 years. I'm a passenger in a run-down Delta 727. Delayed of course. The aircraft must be at least 10 years older than me. I have flown more than 300000 miles the last couple of years. I should be really, really bored with flying and I am. 2: Fly across the US. From Miami to Seattle or even Alaska. See Grand Canyon, The Great Plains and everything else in US from 5000 feet. Oh well, life is supposed to be adventurous, right? My first flight - and airplane book!